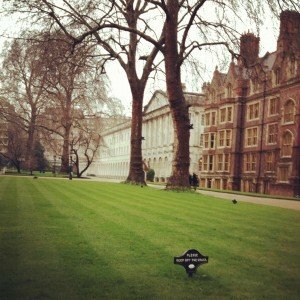 Every Law student is familiar with the Inns of Court. 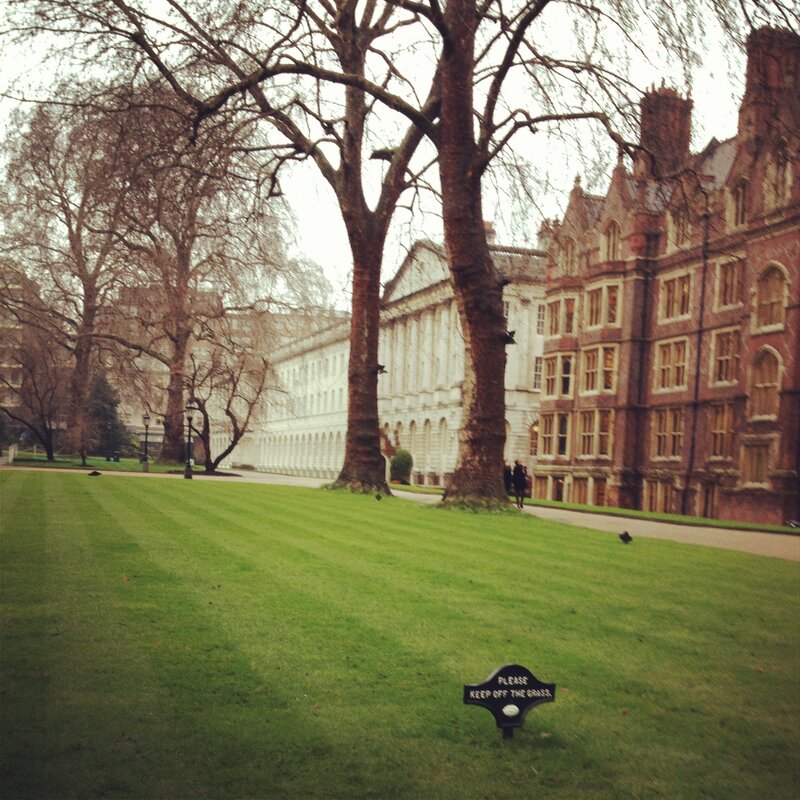 There are four Inns of court, Lincoln’s Inn, Inner Temple, Middle Temple and Gray’s Inn. In order for one to progress their career at the bar, they have to join an Inn, it is what you call an association for Barristers. You will find these Inns in the capital of London. Personally I had never been to an inns of court before but recently I visited Lincoln’s Inn for the first time, c’est magnifique! The reception was wonderful, they offered us a choice of Coffee and tea, I’m not much a fan of coffee but the tea was splendid, in the room there was oil paintings of various people, the one I remembered the most was Margaret Thatcher, I couldn’t help but admire it, the artist painted her in a good light haha. After everybody introduced their selves and drank tea, we were directed to the great hall where barristers were giving us talks, I’m pretty sure that the theme of the talks was to put potential barristers off, they played this game where everybody was given a random number more than 100 but less than 200 because I can’t remember the exact amount, at the end of the game the people whose number was left standing were apparently going to become practicing barristers, and again I’m pretty confident it was less than 20 people standing. Scary really, but that’s statistics for you. I think by trying to put us off is a good thing because those who are left standing are those who will be the ones who are fully committed to the bar. After the talks there was another drinks reception but this time they were serving alcohol beverages and orange juice, so those who like wine, you’d love the drink receptions, they served white wine and red, that is as far as I know about alcohol seeing as though I do not drink it lol. Everybody was enjoying their selves really, barristers were conversing with us fellow students. The next part is the most important part, this is because you need etiquette! The Dinner. There are certain rules which you must abide by, like firstly, NO MOBILE PHONES! I know what you’re thinking, but it is very rude to have mobile phones out during dinner especially in the presence of other barristers, you could probably affect your potential employment, it’s better to be safe than sorry. The dinner that was served was very sophisticated looking, similiar to a 5* restuarant, for my Starter I was given an Avocado Salad with Artichoke, the main course was white Fish in a cream green leak sauce with parsley potatoes and chantenay carrots. There was two types of cutlery given, honestly I did not know what to do, I asked the barrister who was sitting in front of me, it was quite embarrassing, she told me exactly what that woman “new money”told Leonardo Di Caprio in a scene of the movie titanic, “start from the outside, work your way in”. Although I’d say the fish knife resembled a spatula. So finally dessert arrived and it was a Chocolate tart with mango and strawberry sauce, it was very rich and sickly to my liking but I still enjoyed it. During the whole dinner, the waiters and waitresses, was topping every bodies wine glasses up, no one ever had an empty glass, but back to the subject of etiquette if you don’t want to drink tip your wine glass down, I pretty much tipped all my glasses down and the barrister in front of me thought I was pretty extreme LOL. Overall the trip was brilliant, I met lovely people! And I would definitely recommend it to those who are faced with the opportunity! 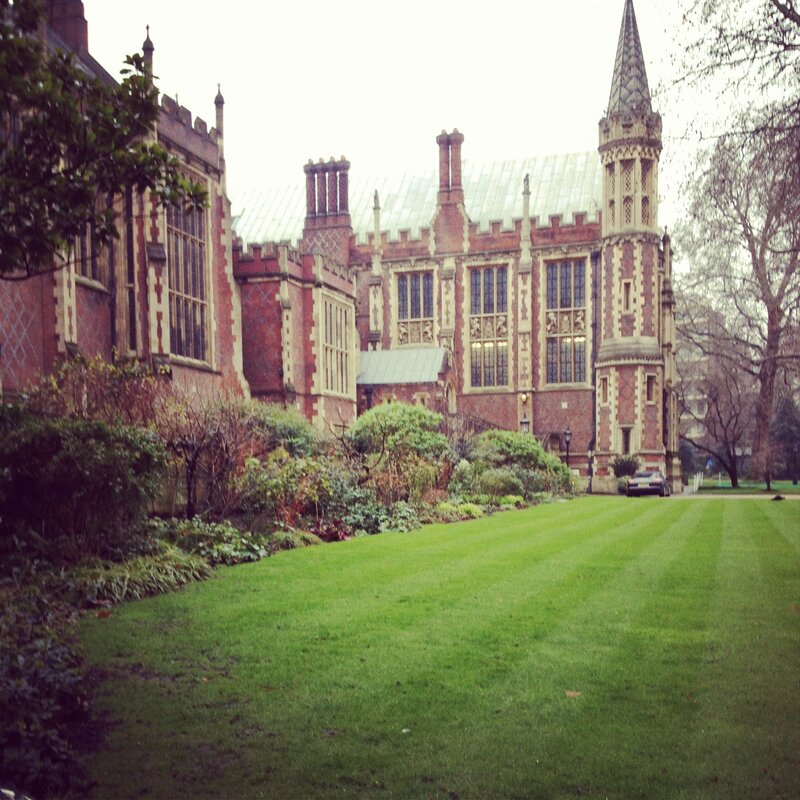 Undergraduate Advocacy – Bored of Mooting?? About time for another entry…. Hello everyone, firstly I would like to apologise (you have no idea how many times I do that in my blogs) for the lateness of another blog entry. Second year LL.B certainly takes the wind out of you compared to first year. I have certainly found that this year is far more intensive and plus I’m doing some serious bitchy modules – Land, Equity, Criminal and Commercial….I’m not gonna love this year! So whilst juggling a degree, part time job, columnist, bar society president and repping for national student pride, trying to upload a blog entry can be difficult, so I thought I would treat myself on a Friday night, and hopefully my readers to another blog entry. Changing the face of undergraduate advocacy…. This blog post will give me a chance to really document why and what I’m doing with Mock Trials, in the execution of this project I’ve not really had a moment to stop and really think. So, everyone heard of mooting? Yes? Good. Talking and tweeting last year, it is of the opinion of many students and many professionals that they find mooting completely boring, actually one consenting opinion came from the lecturer who judged my moot first year, which I thought was charming. Everyone I spoke to thought that mock trials gave a more realistic application of the law, they found it more enjoyable and far more engaging, and they thought it strengthened a student’s advocacy skills far greater than that of mooting…so. I went looking for a mock trial competition at undergraduate level, I assumed there had to be something as there are hundreds of mooting competitions. Do you know what I found? There was not one single intra-university mock trial competition in the United Kingdom and this is what I seek to rectify this year and the next. I plan to execute the first intra-university mock trial competition that this country has seen and potentially change the face of undergraduate advocacy and hopefully improve the prospects of undergraduate students seeking a career at the bar. Well in my capacity as Bar Society President, I created a training program specifically targeted at mock trials and involve such training sessions as introduction to court language and introduction to examination in chief and cross examination. Both actually running this Monday and Tuesday. The trial papers, training materials and assessment grids have all been commissioned by me and now ready to use this year. So I thought why can’t I get other universities involved. So I got tweeting, emailing and eventually this lead to me being appointed as President of the Bar Society, a UK Law Students Association Liaison officer which brought me into direct access with every Law Society President in the country. I confirmed my 10th University this morning. So effectively, I have planned 10 intra-university mock trials this year, I had to see if the program could run effectively before initiating it as a mock trial competition, which I hope will run in proper competition format next year. I have already begun to plan dates and venues. I’m hoping the Royal Courts of Justice or the Supreme Court can host the finals next year in the second semester. Well, my current plans relate to finding professional accreditation and support from Inns of Court, Chambers and Solicitors Firms, a program such as this is not going to be cheap to execute and I’m hoping that I can get some substantial sponsorship sorted so awards can be granted. I’m hoping to establish regional heats so not everyone has to travel to Swansea to participate and I doubt my law school or Barrister’s involved in the program could accommodate the workload, so I’m hoping to establish regional liaison universities whereby they can host a mock trial, get a participating Barrister or Judge to judge it and then record the scores of the winning team – each region then will enter 1 team into the semi finals – to be held in London. The two winning teams will then progress to the finals and the winning team will then walk away with a cash prize. Of course, saying it and doing it are two completely different things, this program needs to be advertised and I’m hoping that many legal publications such as the solicitors’ journal and young lawyer magazine could advertise it to build interest. I didn’t anticipate the amount of involvement from different universities this year and I now have to start seriously considering the plan for next semester. I need to see if it works before approaching firms and although this year has barely begun, I feel like I’m running out of time to organise such an endeavour. I would like to thank everyone for reading, the above post was a chance for me to really get things of my chest and to formulate a plan in my head. I know its a bit scrambled but I hope it was readable. If any university would like to enter, please feel free to email me at [email protected] or I believe my twitter is linked to this blog. Author gregorysmithPosted on November 3, 2012 February 12, 2017 Categories Gregory's BlogTags Advocacy, Bar, Barrister, Competition, Criminal, Mock Trial, Undergraduate, University3 Comments on Undergraduate Advocacy – Bored of Mooting? ?